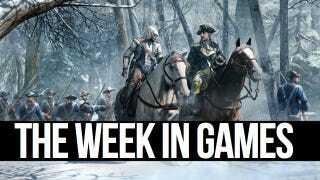 If Hurricane Sandy doesn't wipe out their releases in the American northeast, Tuesday will see two heavily anticipated arrivals on retail shelves: Assassin's Creed III and the reboot of Need for Speed: Most Wanted. There's also Assassin's Creed: Liberation on the Vita, starring a completely different protagonist. For pro wrestling fans, WWE 13 brings the Attitude Era to life. One note, beginning this week we're glad to invite Dealzon, our partners in producing The Moneysaver each week, to provide an expansive and authoritative look at the week in coming releases, on consoles and PC, both retail and digital downloads, hardware, re-releases and special editions. If it's new this week, you will find it below. Consider TWiG a bookend to Moneysaver.